Drew Dobbins threw his second no-hitter of the season, leading Salado to an 8-0 win over the Leander Glenn Grizzlies March 13. Barring a collapse against the bottom of the district tonight and Tuesday, Salado Eagles varsity baseball team is the likely District 25-4A Champion. 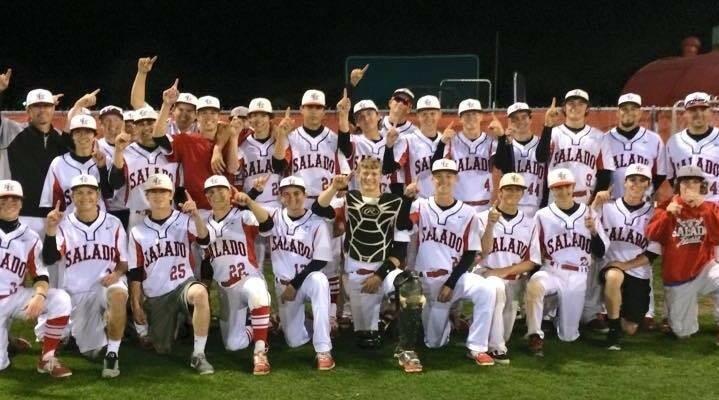 The Salado varsity Eagles baseball team qualified for the playoffs and continued their perfect march through District 25-4A opponents last week with wins over Lampasas and Liberty Hill. 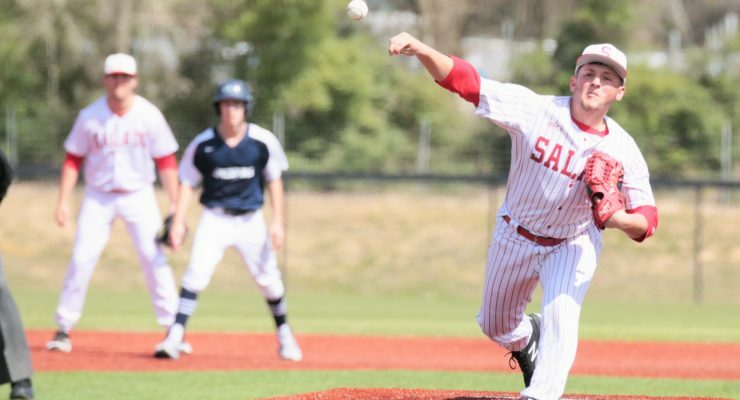 Salado Eagles are 3-0 in district play after beating the Burnet Bulldogs 4-1at home on April 2, a game that was postponed from the day before due to rainy weather. Salado Eagles got past Leander-Rouse by scoring two runs in the top of the 10th inning to win 4-2 in the Leander ISD tournament March 4. 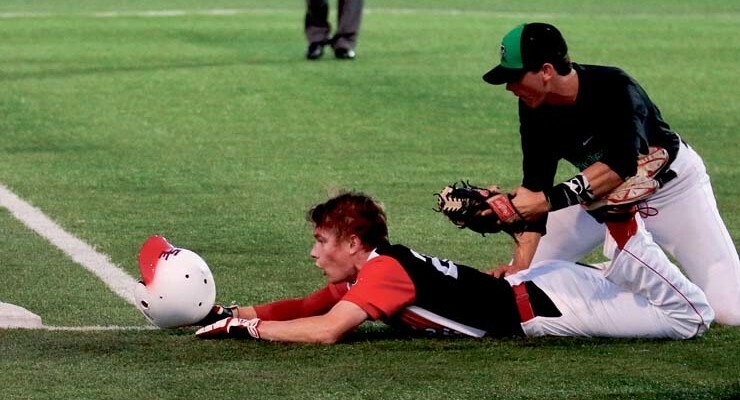 Salado lost to Vandegrift in their final game of the Leander ISD Tournament, falling 11-6 on March 5. Chisholm Trail rattled the Eagles for a 14-3 win in tournament play on March 5. Salado struggled, getting only four hits in their 4-1 loss to Cedar Park in the third round of the Leander ISD Tournament March 4. Preston Payne, Ryan Oakes, Garrett Lightfoot and Drew Dobbins all got singles in the game. Dobbins reached on a fielder’s choice in the first inning. Courtesy runner Chase Basham stole second base and went to third on a single to deep left by Ryan Oakes, scoring on the throw. 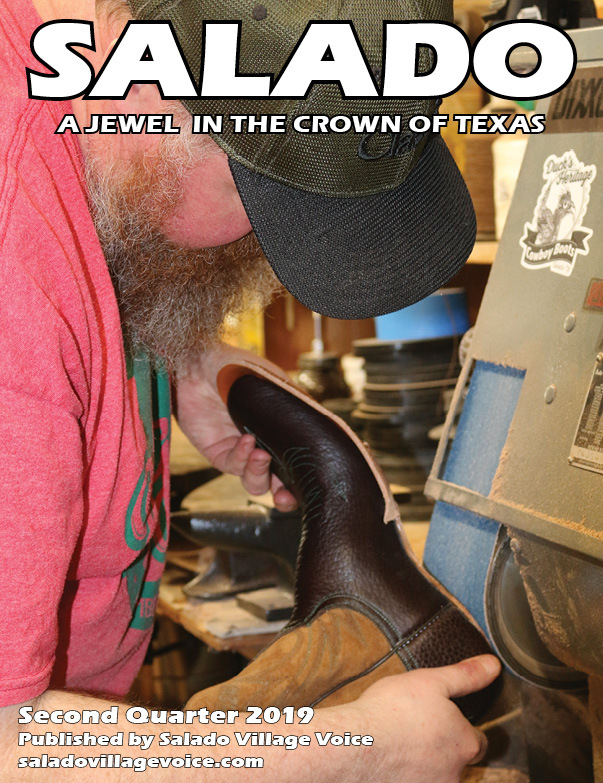 Dobbins was issued the loss for Salado. In five innings, he allowed four runs, two of them earned, on five hits. He struck out two batters. St. Dominic’s scored three runs in the first and two in the fifth to beat the Salado Eagles in the first round of the Leander ISD Tournament March 3.